Pangasius farmers in the Mekong Delta are in a dilemma and on the verge of ruin as they are unable to sell large-sized fish while factories face a shortage of small-sized fish for processing. Farmers are in distress because traders refuse to buy their large-sized fish in the context that exporters prefer small-sized fish. Farmers were happy to rake in profit when pangasius prices kept rising continuously from late last year till early April 2011, with prices even climbing to a record high of VND29,000 per kilogram. However, by harvest season starting April, prices began to fluctuate down to VND23,000-24,000 per kilogram, which barely covered farming costs. Presently only a few farms are still in business as most are struggling to meet expenses. Le Chi Binh, vice chairman of the An Giang Aquaculture and Seafood Processing Association, said it is true that there is currently a surplus of large-size pangasius ranging from 900 grams to 1.2 kilograms at farms. Meanwhile, factories in An Giang Province face a shortage of small-sized fish ranging from 700 to 850 grams and are unable to run at full capacity, he added. 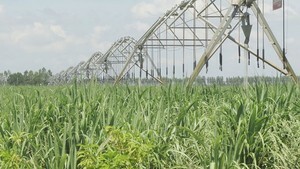 Factories in Dong Thap, Vinh Long and Can Tho are in a similar situation, with many running at only 50-60 percent capacity. 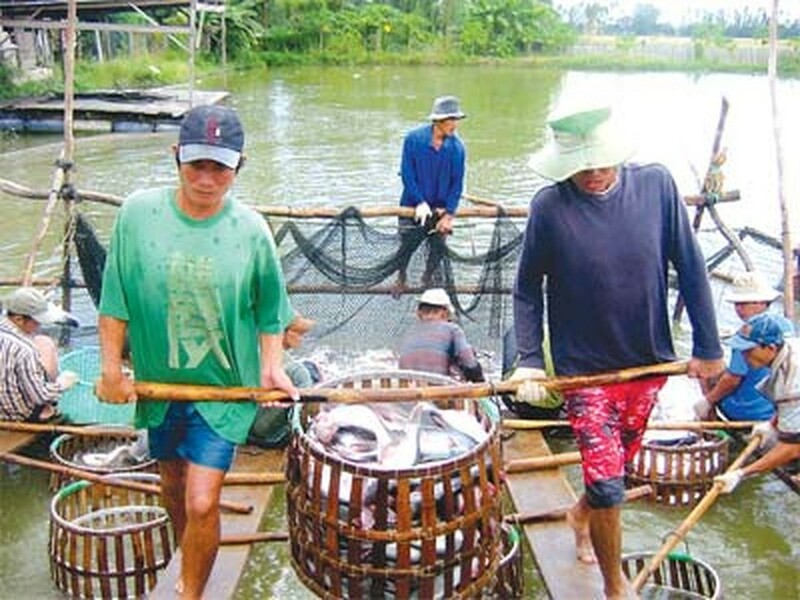 Nguyen Trang Su, vice chairman of the People’s Committee of Hong Ngu District in Dong Thap Province, said his district currently does not have many small-sized fish to sell. According to the Vietnam Association of Seafood Exporters and Producers (VASEP), factories in the Mekong Delta have faced a shortage of 20-30 percent compared to demand since early this year. The association forecasts that the lack of pangasius produce could last till the end of this year. The imbalance in supply that resulted in shortage of small-sized fish and the surplus supply of large-sized fish is troubling traders who cannot find the more preferred small-sized ones for delivery. The situation was attributed to the lack of communication between suppliers and buyers. The Ministry of Agriculture and Rural Development and VASEP have asked exporters to buy all pangasius from farmers and encouraged them to buy large-sized fish besides asking banks to support them. VASEP vice chairman Duong Ngoc Minh said the association members would buy out large-sized pangasius raw produce from farmers in July.